16th World Hematology Congress : Vydya Health - Find Providers, Products. 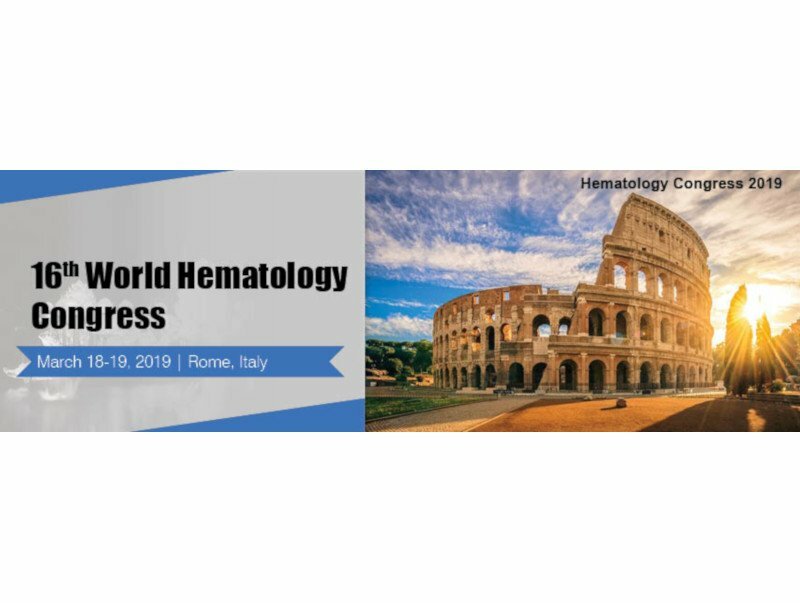 After the productive venture of series of hematology conferences around the globe we are excited to welcome all the participants to CME Accrediated “16th World Hematology Congress” will held on March 18-19, 2019 at Rome, Italy. The CME Accredited conference is going to be organized round the theme “Advancements and New Outlook in Hematology” which incorporates prompt keynote presentations, Oral talks, Poster displays and Exhibitions. This Conference is an open forum for professionals to participate in meaningful and thought-provoking discussions, and network with top-industry experts. Both the experienced CEO and the new technologist will leave with innovated and timely solutions with the knowledge from the latest clinical results, technical advancements, and the tools for success as the field continues to expand. Blood Disorders Diagnosis and treatment. Polymerase chain reaction in hematological malignancies.